I will occasionally be highlighting an artwork of the month. 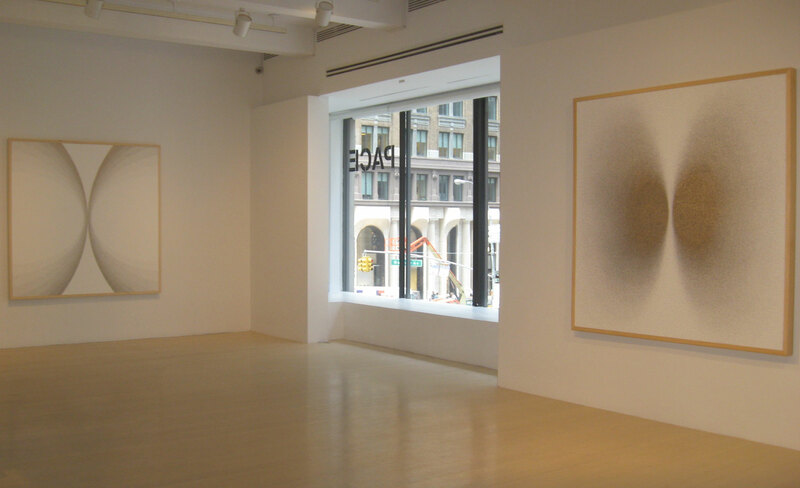 The first entry will be about the work of artist Tara Donovan whose Pin Drawing exhibition, is currently at the Pace Gallery in New York. It will be up through June 27. Tara Donovan creates large-scale installations and sculptures made from everyday objects. She is the recipient of many accolades including the prestigious MacArthur Foundation ”Genius Award” in 2008 as well as the annual Calder Prize (2005). The Drawing (Pins) work, 2015, is composed of gatorboard, paint and nickel-plated steel pins (the type a tailor uses). She uses thousands of pins that she presses into the gatorboard. I was mesmerized by her work as I looked at the pieces from different vantage points. Close-up, one can see all the pins, but from a distance and from the side, the light hitting the pinheads allowed me to see different compositions and different saturations of dark and light. It is rare to see work that is so highly unusual, original, beautiful and sophisticated.